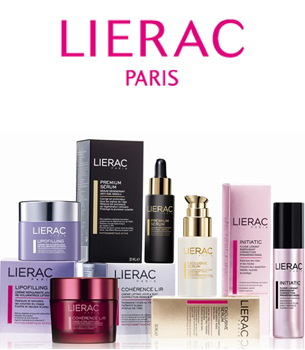 Lierac Paris was started in 1975 by Dr. Leon Cariel. As only a brilliant physician would, he combined the proven powers of botanical ingredients with highlydeveloped, advanced scientific technology. Lierac skincare products have been developed to treat most of the skincare concerns of women such as stretch marks, cellulite and anti-aging. 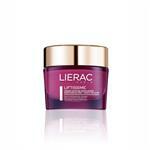 Lierac’s skincare product line includes a full line of body products as well as facial skincare treatments and has become a leader in advanced skincare technologies. 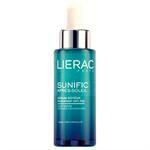 DrSkinSpa.com is an Authorized Retailer of Lierac. All Products are Guaranteed Authentic & Fresh. 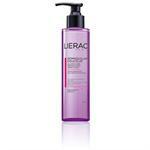 Lierac Paris was started in 1975 by Dr. Leon Cariel. Like only a brilliant physician would, he combined the proven powers of botanical ingredients with highly-developed, advanced scientific technology. With his creations, Dr. Cariel changed the face of skincare therapy. 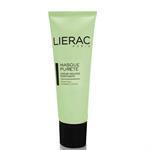 Things got even better when in 1979, Lierac Paris’ parent company, Lierac Laboratories, was bought by Patrick Alès, the man who discovered the botanical hair care line Phyto. As one can tell from the name of this line (phyto coming from the word “plant”), Ales was always heavily interested in using plant molecules to achieve better products that can be utilized by dermatologists, pharmacists, cosmetologists, aestheticians, and more. 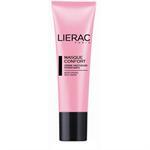 He is obviously doing a good job; Lierac Paris formulas are distributed and bought all over the world by skincare specialists. 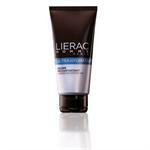 The Lierac products were created to address more specific skin issues that occur on the face and body. They do this with a host of healthy ingredients. If you peruse the labels of Lierac ’s products, you will come across ingredients such as ivy, alchemilla, horsetail extracts, active caffeine, arnica, alfalfa, terminalia, and many, many more. Don’t think this list is short, either. Lierac utilizes well over 100 of these ingredients. 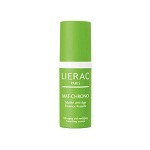 It is blatantly obvious that the researchers and scientists behind Lierac Paris have spent a very significant amount of time and energy figuring out what the best ingredients are for your skin. It is with hard work and dedication like this that this brand has surpassed so many others. 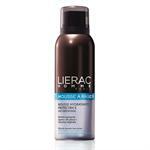 As previously stated, Lierac wishes to treat and prevent more specific, targeted conditions. For example, there are products that target the eyes that work to reduce puffiness and strengthen the sensitive skin around the eye, to prevent and reduce stretch marks, and to diminish cellulite (by removing dead skin cells), just to name a few. (This may sound like a line for women, but no worries. Men are covered too!) What kinds of products are available exactly? You might be a little overwhelmed (but in the best way possible) by the choices that you will have with Lierac . They’ve got lotions, exfoliants, creams, eye make-up remover, gels, foaming gels, shaving foam, both aftershave moisturizer and gel, serums, and more. This line really does have something to address any skin issue you could present it with. These formulas can soften fine lines and wrinkles, cleanse, hydrate, tighten, prevent and reduce any type of irritation, and so much more. 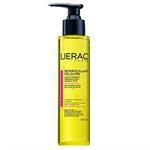 No other line depends on the natural environment more than Lierac. This is how you know that what you are applying to your precious skin is completely harmless. Your skincare formulas should never cause irritation. Outside sources do that to us enough! With this brand, it does not matter what your skin type is—dry, oily, sensitive—Lierac hasn’t forgotten about you. The wait for a skincare line that can finally ignite long-lasting, dramatic results is finally over. 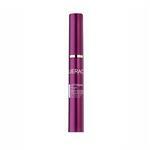 Look no further than right here and get the glowing, youthful complexion you’ve always wanted. Lierac skincare products not only have addressed the needs of facial skin but also concentrate on skincare therapies for the entire body. 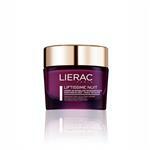 Lierac saw a need for an anti-aging product in women who were suffering from hormonal changes. Hormonal changes have a significant effect on the skin and therefore Lierac produced a product that provide anti-aging properties as well as helped control the changes affected by women’s hormones. 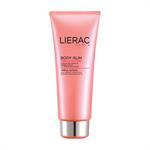 Lierac skincare has also developed a product that helps remove dead skin cells on the body reducing the signs of cellulite while making skin soft and smooth. Lierac skincare products have been developed to treat some of the most skincare concerns for women such as stretch marks, cellulite and anti-aging. Lierac skincare product line includes a full line of body products as well as facial skincare treatments and has become a leader in advanced skincare technologies. 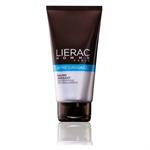 Lierac took one step further in their skin care applications and now has products suitable for both men and women making their product line a versatile and popular choice for skin care specialists and clients.